Cars zoom by on the boulevards overhead as work progresses on expanding the subway underneath -- and in between a full-fledged Roman city has emerged right in the heart of the Bulgarian capital. Archaeologists have little by little unearthed well-preserved stretches of cobbled Roman streets, a public bath, the ruins of a dignitary's house and the curved wall of an early Christian basilica, all dating back to the 4th century AD. If all goes well, the ruins will be fashioned into a vast underground museum due to open to the public in late 2012. Archaeologists have been unearthing the secrets of a Cornish cliff face which is in danger of being destroyed. Gunwalloe on the Lizard is thought to have been the site of an early medieval settlement and home for Saint Winwaloe from Brittany. But the site is eroded by winter storms every year. Leading Bulgarian archaeologist Prof. Nikolay Ovcharov has discovered two archbishop's seals proving the existence of a previously unknown Christian archbishopric in the Middle Ages. Ovcharov has been excavating the Ancient Thracian rock city of Perperikon in the Rhodope Mountains for the past few years, and his finds have increasingly proven that Perperikon (also known as Hyperperakion) used to be a crucial urban center during the Middle Ages as well in the Byzantine Empire and the First and Second Bulgarian Empire, and not just in the Antiquity period. The archaeologist presented Monday his latest find at Perperikon - two lead seals that belonged to Constantine, Archbishop of Archidos. Causeways were first found in the area in 2006, during flood defence work at the nearby Suffolk village of Beccles. Evidence of a brutal massacre of Vikings in Oxford 1100 years ago has been uncovered by archaeologists. 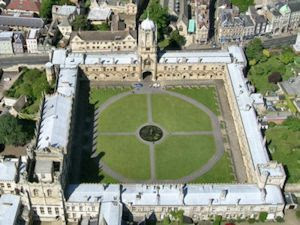 At least 35 skeletons, all males aged 16 to 25 were discovered in 2008 at St John's College, Oxford. Analysis of wound marks on the bones now suggests they had been subjected to violence. Archaeologists analysing the find believe it dates from 1002 AD when King Ethelred the Unready ordered a massacre of all Danes (Vikings) in England. Archaeologists in Saxony-Anhalt have discovered a 2,600-year-old wall painted in bright patterns. It reveals that Iron Age houses were not the drab constructions they were once thought to be. The State Museum for Prehistory in the eastern German city of Halle put part of the prehistoric clay wall on display on Monday. The wall was apparently part of a sprawling, Iron Age human settlement. ON THE western fringes of Siberia, the Stone Age Denisova cave has surrendered precious treasure: a toe bone that could shed light on early humans' promiscuous relations with their hominin cousins. New Scientist has learned that the bone is now in the care of Svante Pääbo at the Max Planck Institute for Evolutionary Anthropology in Leipzig, Germany, who revealed the first genetic evidence of interbreeding between ancient humans and other hominins (New Scientist, 30 July, p 34). There are tantalising hints that the find strengthens the case for a third major group of hominins circulating in Eurasia at the same time as early humans and the Neanderthals. It might possibly even prove all three groups were interbreeding (see diagram). The ancient ship burial site in Salme on the island of Saaremaa still has some surprises in store. The archeological excavations in Salme, soon to be completed, have yielded evidence that the ship that had been buried with 35 warriors and nobles had a keel, which in turn leads to the conclusion that it used sails. This represents the earliest known use of sails on a vessel in the Baltic Sea region, reported ETV. Scientists have built the most comprehensive timeline yet for working out the exact order in which geological and archaeological events happened in Britain over the last three million years. And they've done it using fossilised snails. The mammoth 11-year project, published online in Nature, is the most comprehensive of its kind and clears up a number of archaeological and geological debates. Archaeologists leading the University of Toronto's Tayinat Archaeological Project in southeastern Turkey have unearthed the remains of a monumental gate complex adorned with stone sculptures, including a magnificently carved lion. The gate complex provided access to the citadel of Kunulua, capital of the Neo-Hittite Kingdom of Patina (ca. 950-725 BCE), and is reminiscent of the citadel gate excavated by British archaeologist Sir Leonard Woolley in 1911 at the royal Hittite city of Carchemish. SOME claim climate change will destroy our species; now it seems it also helped forge it. The rapid fluctuations in temperature that characterised the global climate between 2 and 3 million years ago coincided with a golden age in human evolution. The fossil record shows that eight distinct species emerged from one hominin species, Australopithecus africanus, alive 2.7 million years ago. The first members of our genus appeared between 2.4 and 2.5 million years ago, while Homo erectus, the first hominin to leave Africa, had evolved by 1.8 million years ago. What do you find in archaeology? This is the most interesting and, in a sense, the most important question of all. It is what people always ask when you tell them that you are an archaeologist. “What did you find?” can be the most Romantic question of all. Gold? Bodies? Tombs? Fabulous caches of beautiful vases or jewels? Everyone, from the interested bystander to the seasoned archaeologist cannot quite contain that quickening of the pulse, that deep desire to find buried treasure. The archaeologists of the past- say, the late 19th and early 20th centuries- were, more often than not, equal parts antiquarians and treasure hunters. Heinrich Schliemann, entrepreneur and archaeological enthusiast whom I have mentioned, was not purely driven by love of the past and scholarly devotion. No, he also felt that certain lust for, as Indian Jones puts it, “fortune and glory.” After he found the legendary city of Troy, one of the most famous pictures which was published across the world is of his wife, Sofia, wearing several pieces of gold jewelry found on excavation. Good archaeology? No. Fortune and glory? Absolutely. Such glories have colored the popular perception of archaeology ever since. An ancient underground chamber which could date back 2,000 years has been unearthed near Clonmany in Inishowen. Discovered by Clonmany man Sean Devlin, the previously unrecorded structure appears to be an underground tunnel or souterrain. Mr Devlin revealed yesterday that he first discovered the underground chamber several years ago while landscaping his front garden, but didn’t make much of a fuss about his amazing find at the time. The historic significance of the tunnel only became apparent recently after Mr Devlin showed it to amateur archaeologist friends. New research has cast doubt on the theory that 97 infants were killed at a Roman brothel in Buckinghamshire. In 2008, the remains of the newborn babies were rediscovered packed in cigarette cases in a dusty museum storeroom by Dr Jill Eyers from Chiltern Archaeology. They were excavated from the remains of a lavish Roman villa complex in Buckinghamshire almost 100 years earlier, but had remained hidden ever since. German archaeologist Dr Heinrich Kusch said evidence of the tunnels has been found under hundreds of Neolithic settlements all over the continent. 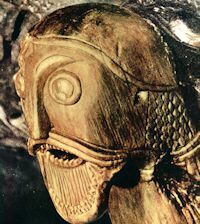 In his book - Secrets Of The Underground Door To An Ancient World - he claims the fact that so many have survived after 12,000 years shows that the original tunnel network must have been enormous. Archaeologists have discovered what they believe to be one of London's oldest pubs. The 16th century tavern, The Three Tuns, was unearthed next to Holborn Viaduct, with parts in such good condition that it is possible to stand on the remains of the Tudor street and look through its window. David Saxby, a senior archaeologist at the Museum of London, uncovered a basement bar room, a serving hatch and an inscription "Lotte" - possibly as part of the name Charlotte - at the foot of the staircase. A LARGE building dating as far back as 1200 BC and a female goddess figurine were only some of the fascinating finds following five-week long excavations at the Late Bronze harbour city of Hala Sultan Tekke in Larnaca. Inside the 30 by 20m building were both living and working spaces containing spindle whorls and loom weights, which indicate the production of textiles, as well as a plethora of high-quality pottery imported mainly from the Mycenaean world. Jugs, bowls and jars were among the pottery uncovered. The wreckage of a sunken vessel believed to be from the Spanish Armada has been discovered off the Donegal coast. Underwater archaeologists are to explore the historic wreck, located in shallow waters in Rutland Harbour, near Burtonport. Evidence uncovered during a dive survey revealed the vessel was likely to be a 16th-century ship, possibly part of the 1588 Spanish Armada. A unique gold and sapphire finger ring, found by a metal detectorist and just purchased by the Yorkshire Museum, almost certainly belonged to Anglo-Saxon or Viking royalty, very senior clergy or a leading member of the Anglo-Saxon aristocracy, say historians. Of very great historical importance, it is the only Anglo-Saxon era sapphire ever found in the ground in Britain. The only other sapphire from the period is the one that the Queen wears in her Imperial State Crown, used at the opening of Parliament. Known as St. Edward’s sapphire, this latter gem was once part of King Edward the Confessor’s finger ring and is now the oldest gem in the British crown jewels. It is one of the best preserved buildings from the Roman world, a 2,000-year-old testament to the immense power and wealth of the empire. But mystery has always surrounded what lies behind the unusual design of the Pantheon, a giant temple in the heart of Rome that was built by the Emperor Hadrian. Now experts have come up with an intriguing theory – that the temple acted as a colossal sun dial, with a beam of light illuminating its enormous entrance at the precise moment that the emperor entered the building. Another 16 graves have been found in a Worcestershire village where new flood defences are being built. The 16 are in addition to the 12 uncovered in Kempsey last week next to St James Church. It is thought that some of the skeletons could date back as early as 500 AD. Archaeological digs are a painstaking process even after the earth has been excavated — artifacts must be carefully catalogued so researchers know exactly where they were found, which tells information about their past. On an upcoming dig in Jordan, a modified Kinect could serve as a 3-D scanner, making this process simpler — and decidedly more high-tech. Researchers hope students traveling to an archaeological dig in Jordan will use a hacked Microsoft Kinect as a mobile scanning system, making 3-D models of ancient sites that can then be visited in a virtual-reality environment.